JUST REDUCED $100,000!Enjoy the shore in this magnificent 5 bedrooms /4 baths, bay front home w/spectacular views & 137' bulk head +17X15 boat dock. Comprised of 2 levels of luxury living accented by multi-tiered outdoor living areas with outdoor gourmet kitchen & salt water pool. 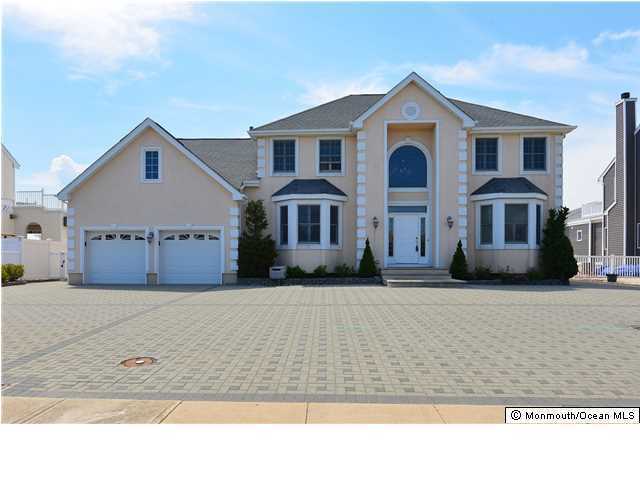 This Mantoloking shore estate features 1st floor bedroom, kit, great room w/Fire place, private dining room, & formal liv rm. the 2nd floor is graced by a spacious master suite w private balcony, 2 bedroom suites w/ balconies, and a fourth bedroom. A shore paradise that survived Sandy!